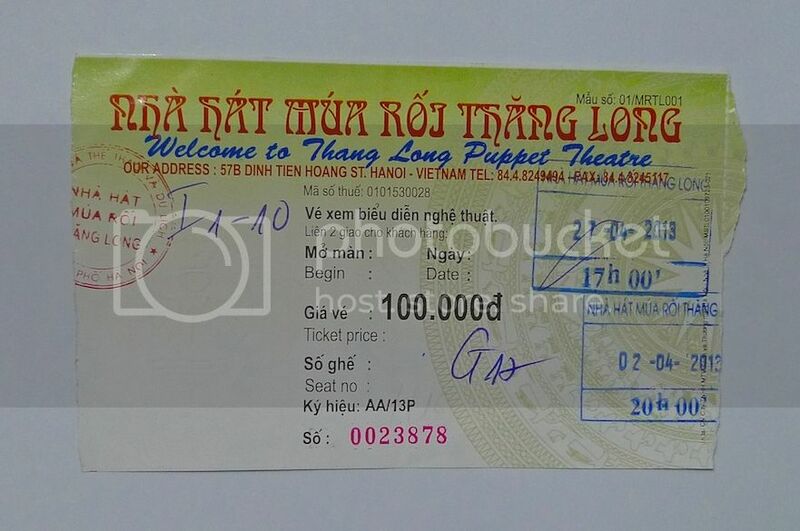 One activity you must not miss in Hanoi is watching the water puppets show at Thang Long Water Puppet Theatre. 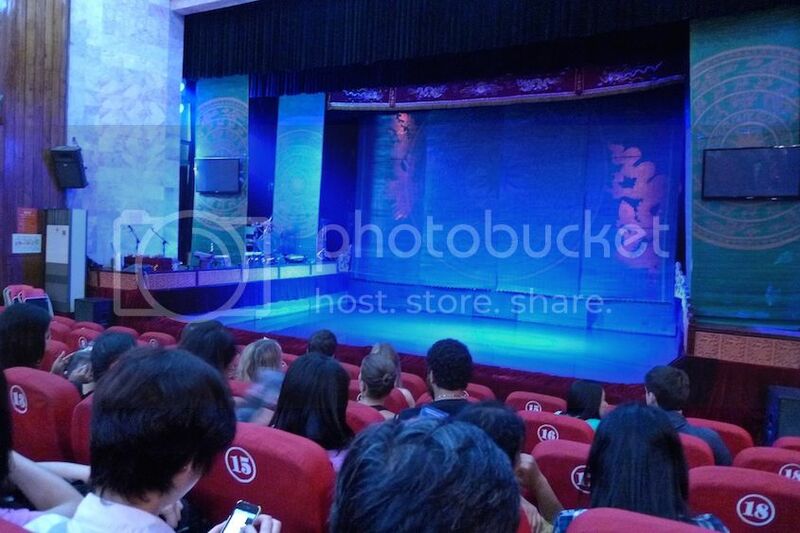 Located at the northeastern bank of Hoan Kiem Lake, this theatre is the place to go to enjoy Vietnam's ancient art of water puppetry. My friend and I had bought the tickets for the 8pm show at the box office in the morning. Yes, you need to buy your tickets that early so as not to be disappointed later in case there are no seats left. We were there around 15 minutes before the show starts. As we were early, we managed to have a good look at the theatre hall before it got all dark. 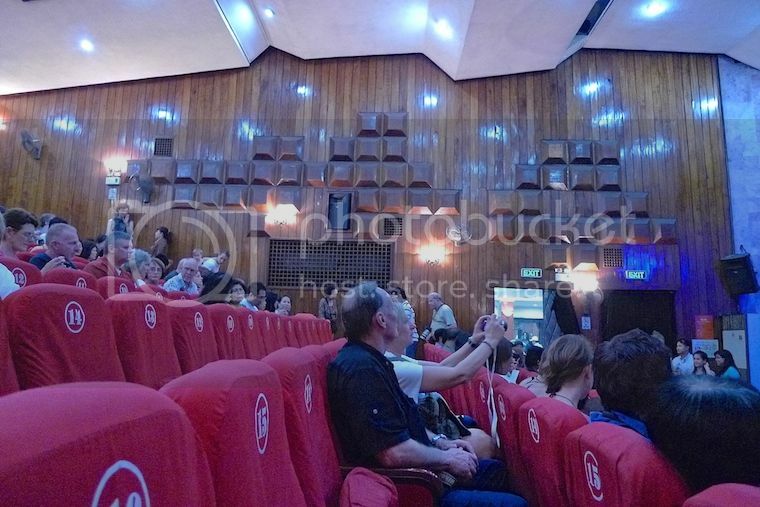 The theatre was pretty modern with rows of standard theatre-style red cushioned chairs. And the stage was not a stage as in a normal theatre, but a pond! Beside the pond/stage on the left side of the hall is a platform where a small orchestra consisting of traditional instruments performs. 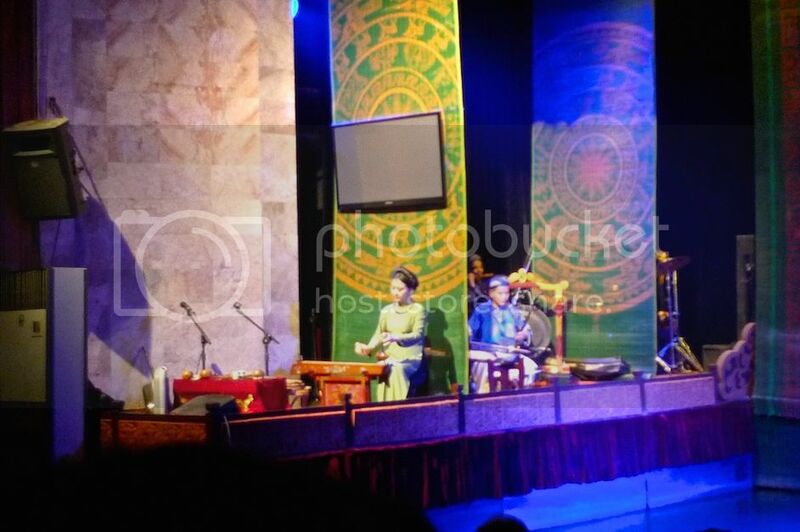 The show started with a short instrumental performance and a brief introduction in Vietnamese language. 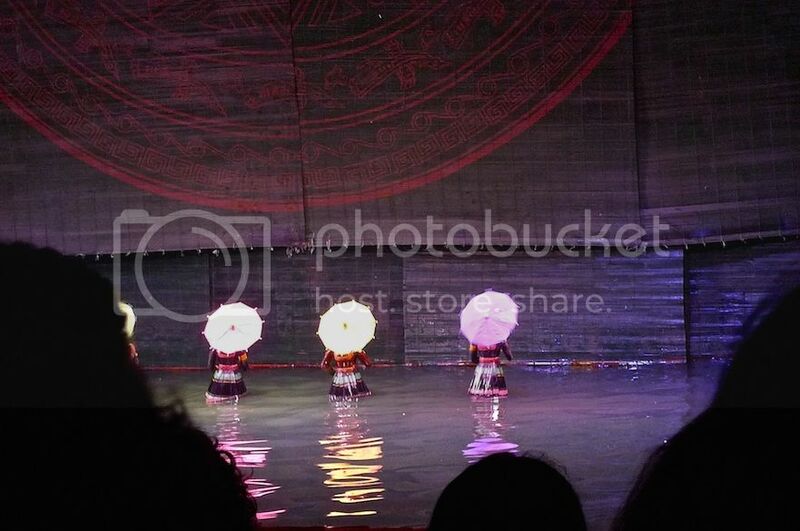 Then the water puppets came out on the water, and I was hooked. I did not take many pictures during the show as it was too dark to take proper pictures. Besides, there were many people in front blocking the view. Perhaps I should try to get the front seat next time. The whole show lasted about under an hour and there were many acts showcasing different stories and using different puppets. Some of the stories were quite humorous although I have to say I did not fully understand them as they were not translated to English. Still, I enjoyed the show and I also like watching the orchestral players and vocalists performing. 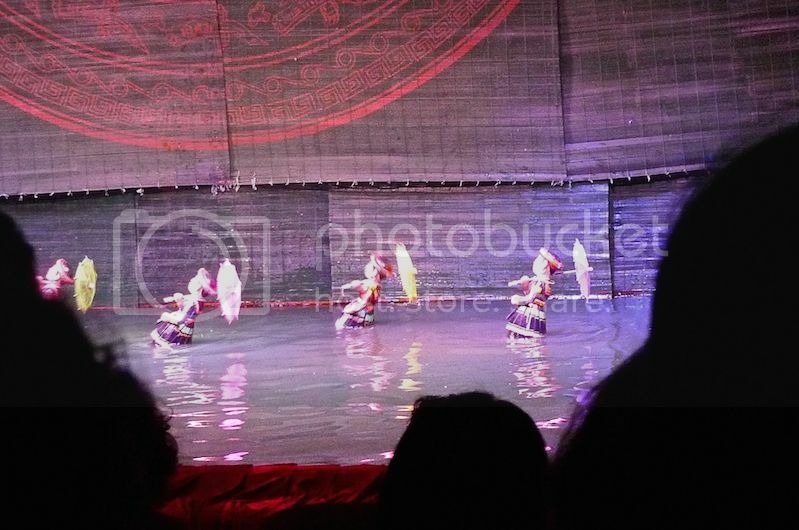 It was actually quite amazing to see the puppets coming to life and to imagine how they were being made to move around on the water. 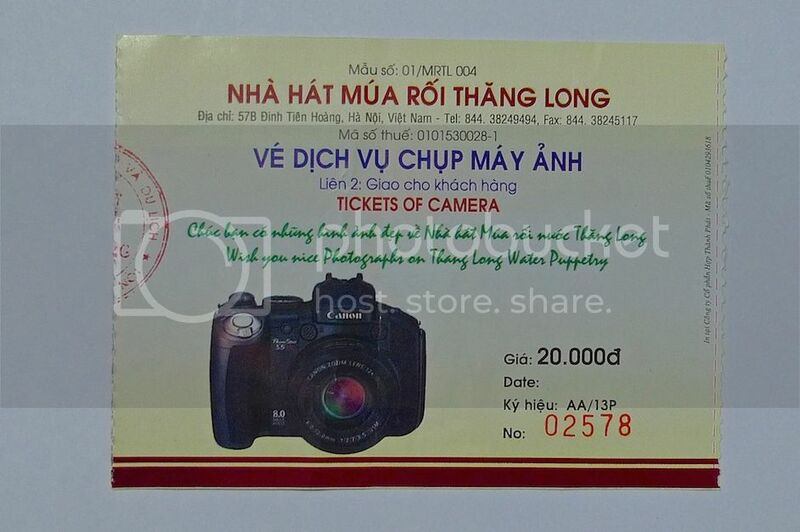 Ticket was reasonably priced at 100,000 VND (US$4.65) but if you want to take pictures, you need to pay an additional 20,000 VND (about US$1). 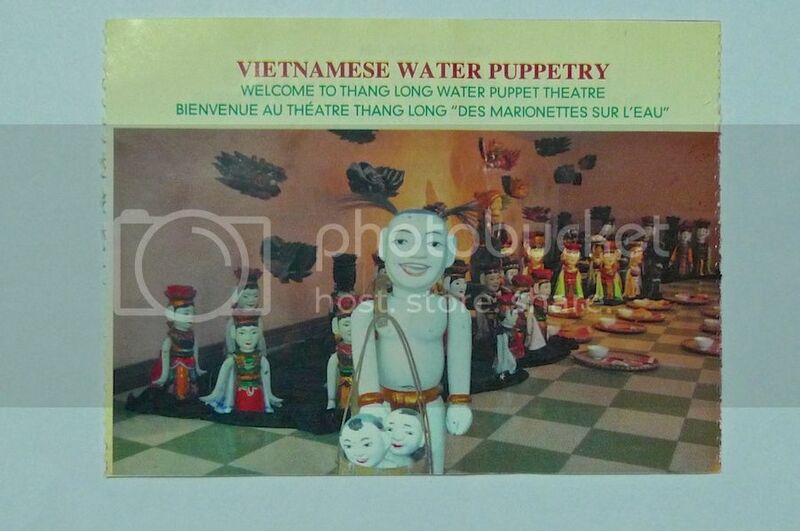 There were souvenirs in the form of water puppets on sale outside the theatre hall but I did not buy any. Would I return for another show in future? Yes I would and I actually did when I visited Hanoi again just last month, but that would be a story for another post!